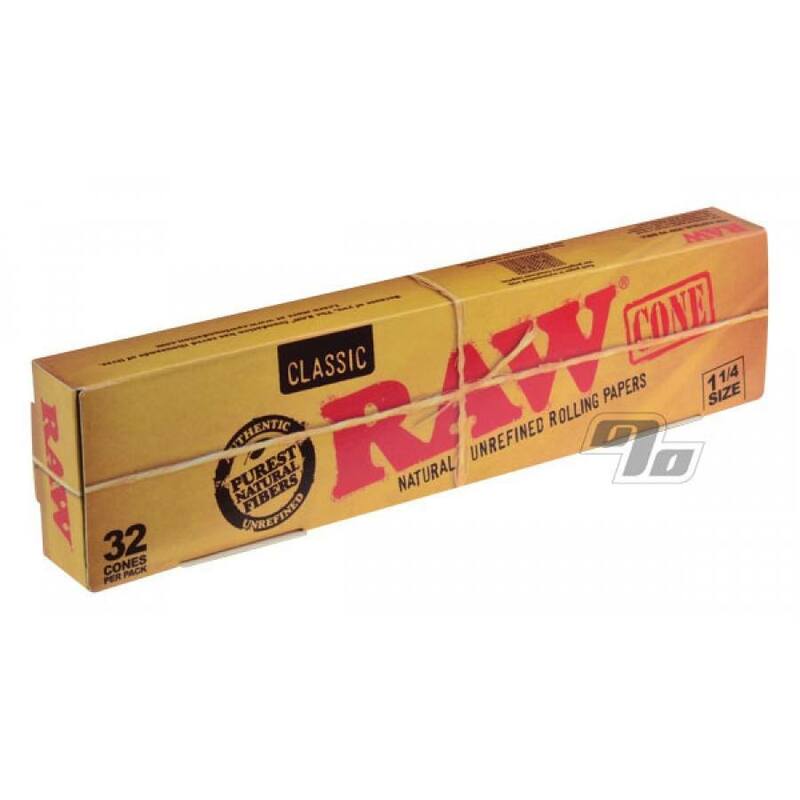 Party Pack of RAW Natural Cones, pre-rolled in the 1 1/4 size for you with the same unbleached, natural rolling paper you'd expect from RAW Rolling Papers. Filter tip included no less. Get this economical bulk package of 32 individual 1 1/4 size cones with the RAW Natural paper; great for your next party or if you just like to share. Rest assured, there are no counterfeit worries at 1 Percent. Every RAW paper we sell is factory direct and 100% genuine. Unfortunately, my order had to be back ordered but Malik kindly offered to upgrade my order to the organic cones at no additional charge. Cant speak on the organic cones just yet as I've never tried them but I will say this is awesome customer service. Easy to use and burns well! Easy to handle and a great product!!! Best way to get a nice smoke when you don't feel like rolling one. Love the fact that they are unbleached. I LOVE these cones. First came across them on a trip to D.C. and had to find more. Slow, even burn and no waste. Fast and accurate shipping from a great company. fave cones in the world! easy burning, easy to drop your favorite product ground up right into the cone, minimal effort, maximum delight and slow even burning. the best in the world, hands down.